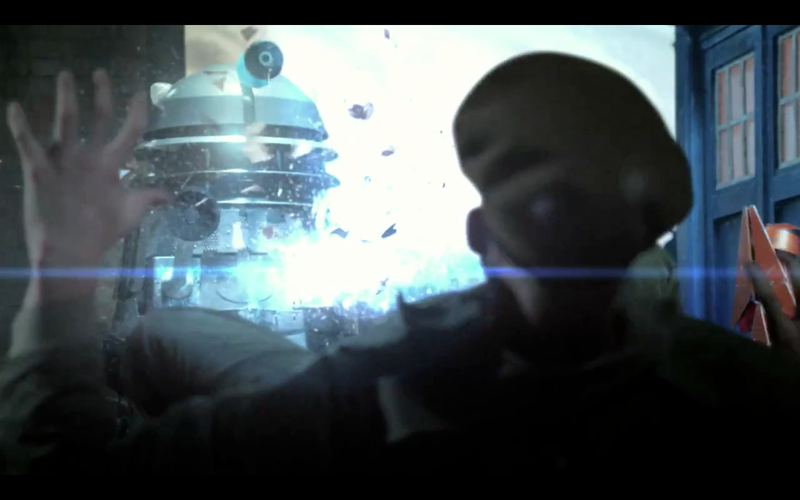 The Doctor Who 50th Anniversary trailer was aired on BBC One on Saturday night and released online immediately after. Fan reaction has been overwhelmingly positive. Notwithstanding the BBC’s statement that the “trailer does not include any actual footage of the 50th anniversary episode”, fans have nonetheless dissected and deconstructed the trailer for any hints to The Day of the Doctor’s content. A number of enlightening articles have been posted by fellow bloggers. Particularly commendable are Blogtor Who’s image breakdown of the trailer which includes 27 screen captures and their article on 50 things to notice. 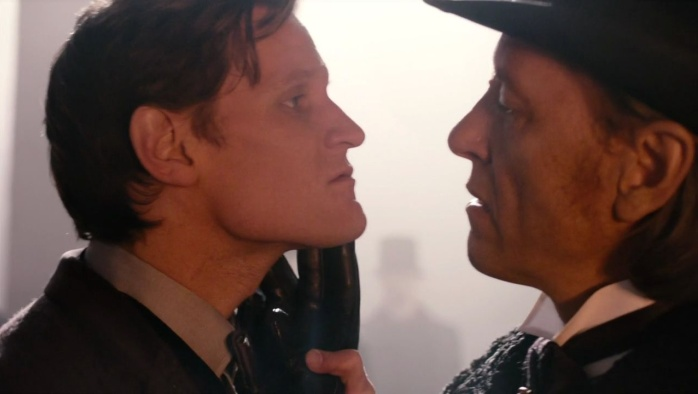 Also of note are Doctor Who TV’s“11 Things we Loved in the Doctor Who 50 Year Trailer” and their “50th Anniversary Trailer Who Did You Miss?” Also check out io9’s “24 Things you Missed from Doctor Who’s 50th Anniversary Trailer”. Enjoy deconstructing the Trailer! A scene from the 50 Years’ Trailer. Is this the Brigadier? The BBC has released a series of behind the scenes photographs from the 50 Years’ trailer which was aired in the UK last Saturday night. You can read our post on fan reaction to the trailer here. All photographs are the copyright of the BBC. No copyright infringement is intended. Missing Episodes – Has Marco Polo Been Recovered? 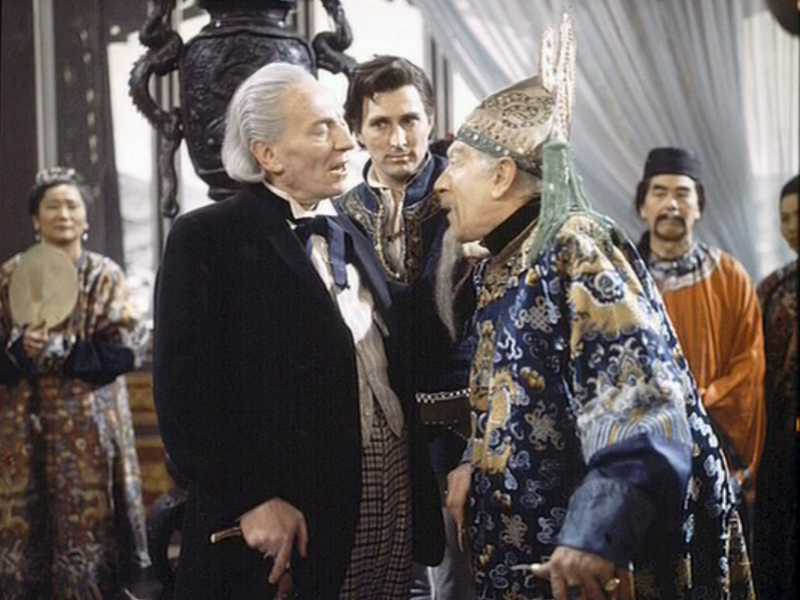 In an article published in the Radio Times the writer of An Adventure in Space and Time, Mark Gatiss, has indicated that “moments of lost episodes ,.. like Marco Polo” have been recreated for the drama. The 90 minute production, which dramatizes the origins of Doctor Who, will be aired in November as part of the 50th Anniversary celebrations. 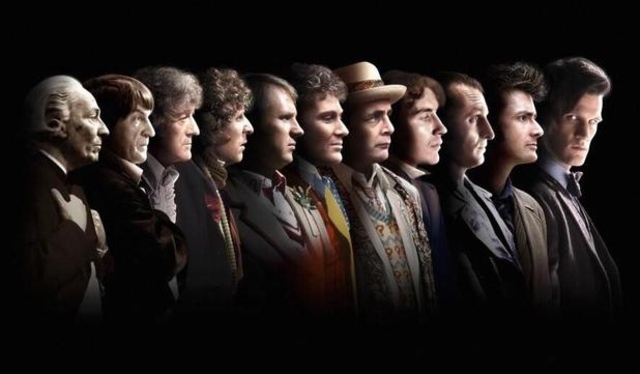 Stars of the show include David Bradley as William Hartnell (the First Doctor), Brian Cox as Sydney Newman (Doctor Who co-creator), and Jessica Raine as Verity Lambert (first producer). The two surviving members of the original cast of Doctor Who, William Russell (Ian Chesterton) and Carole Ann Ford (Susan Foreman) appear in small cameo roles as “Harry” and “Joyce”. 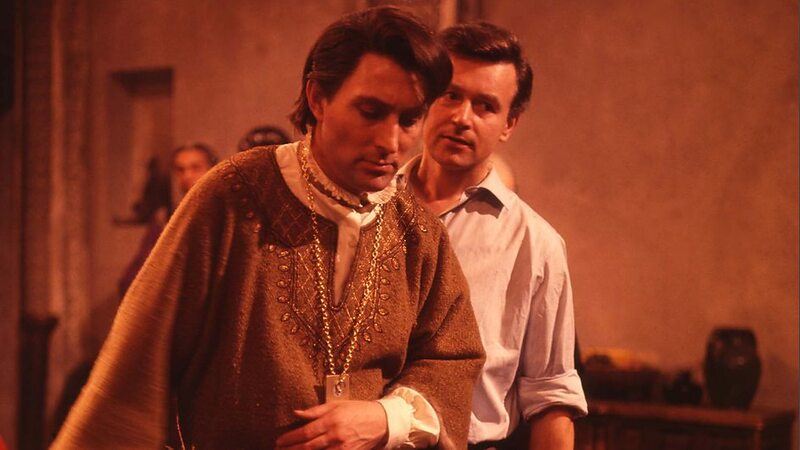 Mark Eden, who played Marco Polo in the missing serial of the same name, appears in the drama as Donald Baverstock, the Controller of BBC One. Rumours circulating prior to the announced recovery of The Enemy of the World and The Web of Fear earlier this month speculated that Marco Polo was part of a three serial haul. So consistent were the rumours that an acronym circulated amongst fans for this alleged multiple story recovery – MEW (Marco, Enemy, Web). In our article on 21 October The Doctor Who Mind Robber mused upon the relationship between the revival of the Great Intelligence in Series 7 and the recovery of The Web of Fear, the second (and last) story in which the Intelligence appeared. 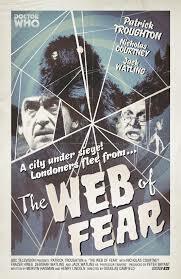 In our humble opinion it appears that Doctor Who show runner, Steven Moffat, was aware of Web’s recovery and almost certainly resurrected the Intelligence to assist in the BBC’s marketing of the recovered episodes. Given the precedent set by the Intelligence’s return, together with the long-standing MEW rumours, it’s at least arguable that Gattis’ recreation of elements of Marco Polo is a further example of a BBC missing episode marketing campaign. Should we anticipate an announcement on the return of Marco Polo not long after the broadcast of An Adventure in Space and Time? Let’s wait and see! In the meantime, check out our gallery of brilliant promotional photographs for An Adventure in Time and Space here.